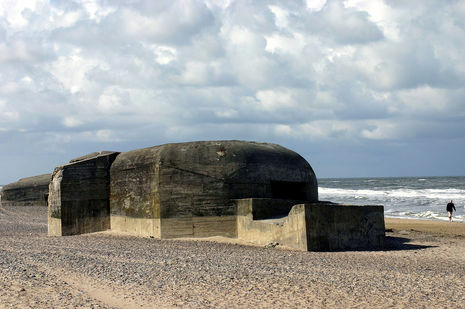 On March 23, 1942 Führer Directive Number 40 called for the official creation of the Atlantic Wall. After the St. Nazaire Raid, on April 13, 1942 Adolf Hitler ordered naval and submarine bases to be heavily defended. 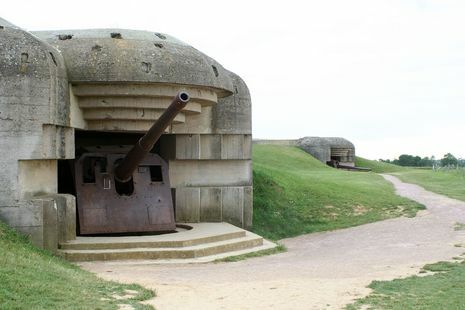 Fortifications remained concentrated around ports until late in 1943 when defences were increased in other areas. Organisation Todt, which had designed the Siegfried Line (Westwall) along the Franco-German border, was the chief engineering group responsible for the design and construction of the wall's major fortifications. Thousands of forced laborers were impressed to construct these permanent fortifications along the Dutch, Belgian and French coasts facing the English Channel. Early in 1944, Field Marshal Erwin Rommel was assigned to improve the Wall's defenses. Rommel believed the existing coastal fortifications were entirely inadequate and he immediately began strengthening them. 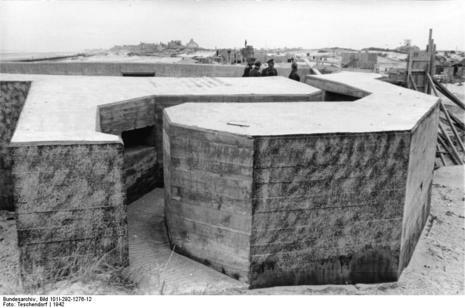 Under his direction, a string of reinforced concrete pillboxes were built along the beaches, or sometimes slightly inland, to house machine guns, antitank guns, and light artillery. 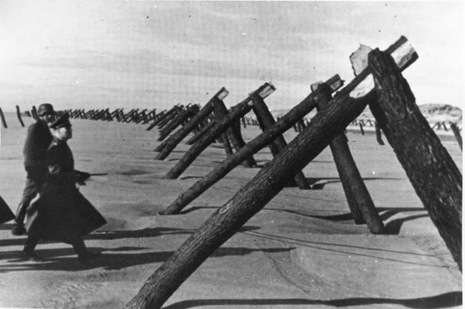 Mines and antitank obstacles were planted on the beaches themselves, and underwater obstacles and mines were placed in waters just off shore. The intent was to destroy the Allied landing craft before they could unload. By the time of the invasion, the Germans had laid almost six million mines in northern France. More gun emplacements and minefields extended inland, along roads leading away from the beaches. In likely landing spots for gliders and parachutists, the Germans emplaced slanted poles with sharpened tops, which the troops called Rommelspargel ("Rommel's asparagus"). Low-lying river and estuarine areas were permanently flooded, as well. Rommel firmly believed that Germany would inevitably be defeated unless the invasion could be stopped at the beach. Although the defensive wall was never completed the Wall's existence has served to explain away concerns of the Soviet Union for why the Second Front was not opened until June 6, 1944 (less than a year before the end of the war). The Wall primarily consisted of batteries, bunkers, and minefields, which during 1942–1944, stretched from the French-Spanish border to Norway (Festung Norwegen). 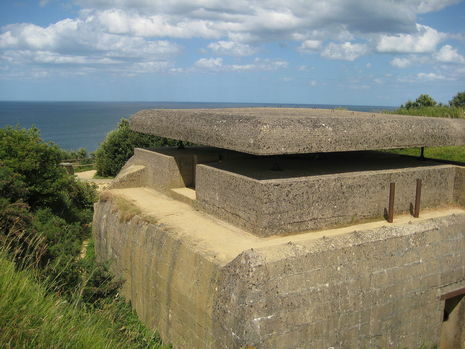 Many bunkers still exist, for example near Scheveningen, Den Haag, Katwijk and in Normandy. In Oostende, Belgium the public may visit a well-preserved part of the defenses. That section consists of emplacements of the "Saltzwedel neu battery" and the "Stützpunkt Bensberg", consisting of several men’s quarters and the necessary facilities. These constructions were used by a unit of German military engineers (Pionierstab) who were in charge of bunker construction. The Channel Islands were heavily fortified, particularly the island of Alderney which is closest to France. Hitler had decreed that 10% of the steel and concrete used in the Atlantic Wall go to the Channel Islands, because of the propaganda value of controlling British territory. Despite the mooting of Operation Constellation et al., the Allies bypassed the islands and did not try to liberate them when they invaded Normandy. The islands' German garrisons did not surrender until 9 May 1945 - one day after the German armed forces on the mainland. The German garrison on Alderney did not surrender until 16 May. Walcheren Island was considered to be the "strongest concentration of defences the Nazis had ever constructed." When the United States entered the war in December 1941, fears of an Anglo-American landing intensified, and in the same month, Hitler reinforced his system of defence by ordering the construction of the Atlantic Wall. 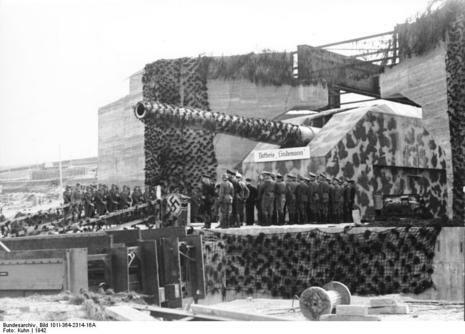 This gigantic project, entrusted to the Todt Organization, was begun in 1942 but had still not been completed by 1944, despite the efforts of Field-Marshal Rommel, who had been made responsible for the entire sector between the Netherlands and the Loire at the end of 1943.